The STIHL FS 311 trimmer combines the best of all worlds so you can better trim yours. 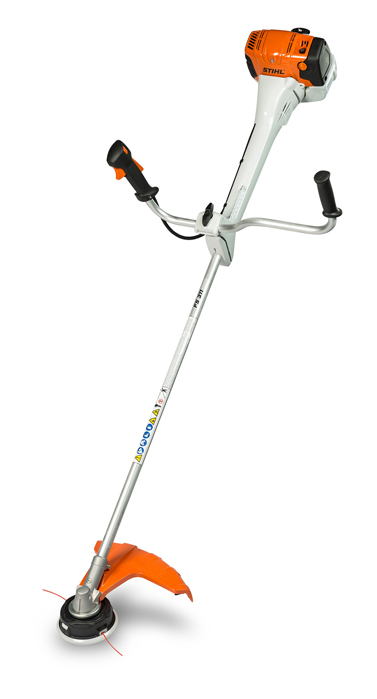 Featuring a powerful, fuel-efficient engine, this trimmer works longer with fewer refuels compared to previous models. It includes a vertical pleated air filter for excellent air filtration and long service intervals. A simplified starting procedure helps you jump into your job faster, while its newly designed bike handles provide a comfortable grip of product while you work. The FS 311 also features the IntelliCarb™ compensating carburetor for optimal engine performance, as well as a four-point anti-vibration system for enhanced user comfort. This trimmer accepts a range of metal cutting attachments and circular saw blades that can be used with the appropriate accessory kit. This is one well-rounded performer that doesn't skimp on the performance.